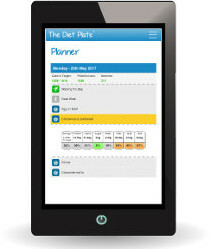 Get a personalised diet plan from our adaptive weight management system, that's like having your own personal dietitian. The Diet Plate Online takes into account your unique needs, a simple interface with smarter background analytics. Regularly recalculating the targets and recommendations you personally require to achieve the best results, instead of a one-size-fits-all approach. 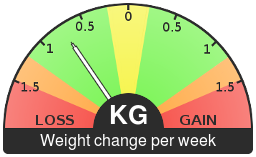 Every week a new intake target will be calculated especially for you. Designed to keep you moving consistently towards your goal weight. While at the same time, avoiding weight loss plateaus and absorbing any targets you have missed. When calculating your target, we always start with the amount you're accustomed to eating, to ensure you're comfortable and not left feeling hungry. You decide how fast and intensive you want your diet plan to be. As long as you are on target more often than not, you will see results. If your weight change is too fast or too slow, your targets get automatically adjusted to reflect the difference and get you back on track. A lot of diets are full of can'ts and don'ts, with The Diet Plate Online nothing is off the menu. The only rule is to hit your intake target as much as you can, instead of telling you what you can and cannot have. 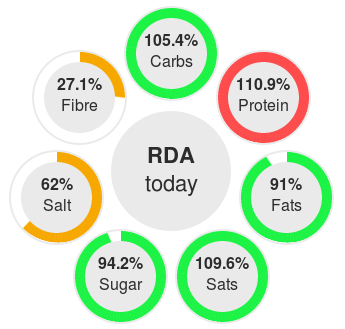 With our RDA tracker you can see at a glance how balanced your diet is in general, and how balanced it is today. This enables you to make smarter choices in the future, that will lead you to a healthier lifestyle. Find out what is in the foods you eat, even if it's a meal you've made from scratch. You can easily see what habits you have that are affecting your weight loss and your dietary balance. Combine foods from our database into a single entry in your planner. Enabling you to construct meals you've cooked from scratch, eaten from a restaurant or simply to adjust a food to reflect your personal tastes. Your plan is broken up into lots of short term goals that help to keep you motivated, and show how far you've come. 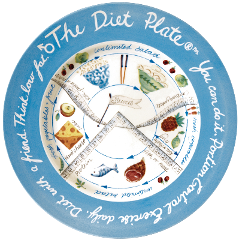 If you own a Diet Plate, you can use it as a measuring tool when entering foods into your planner. Every food in our database has a Diet Plate serving option when you are selecting how much you've had, making it easier to log your meals. Since nothing is off the menu with The Diet Plate Online, you can expand upon the range of foods and drinks available to you. This enables you to indulge your sweet tooth or eat out in restaurants, and still have a successful diet. 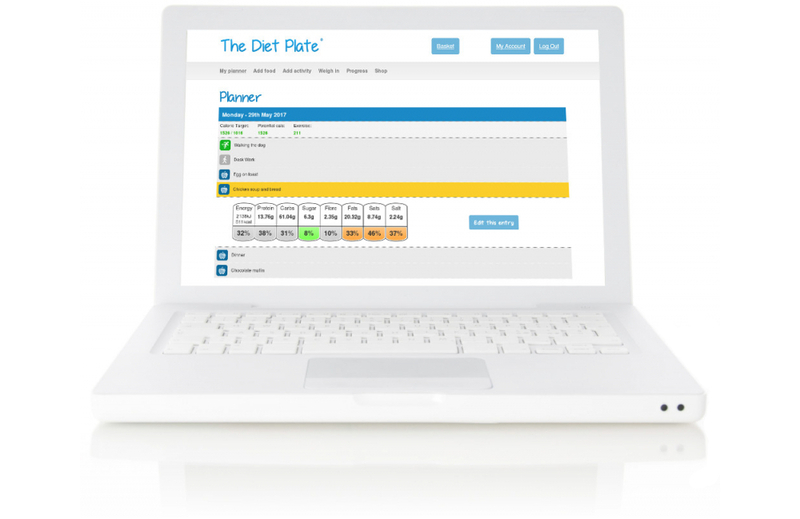 The Diet Plate Online is a web app, so it works on any internet connected device.